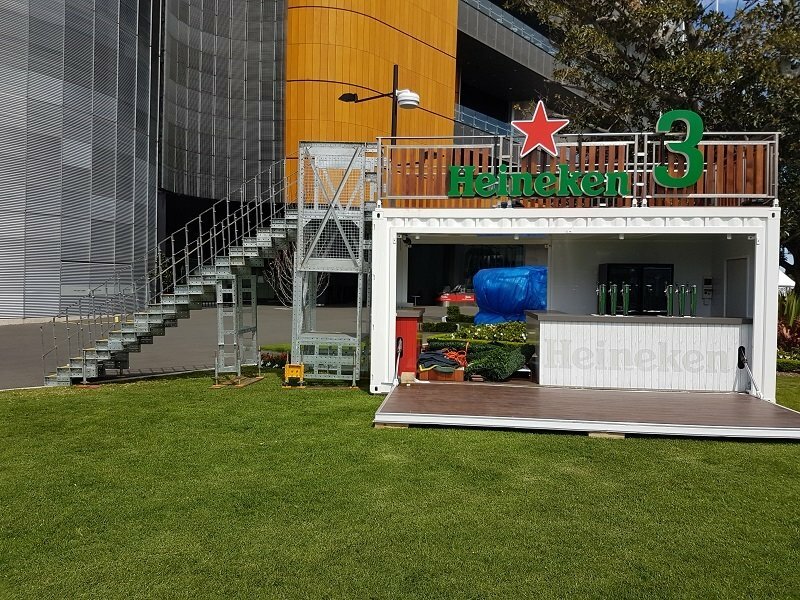 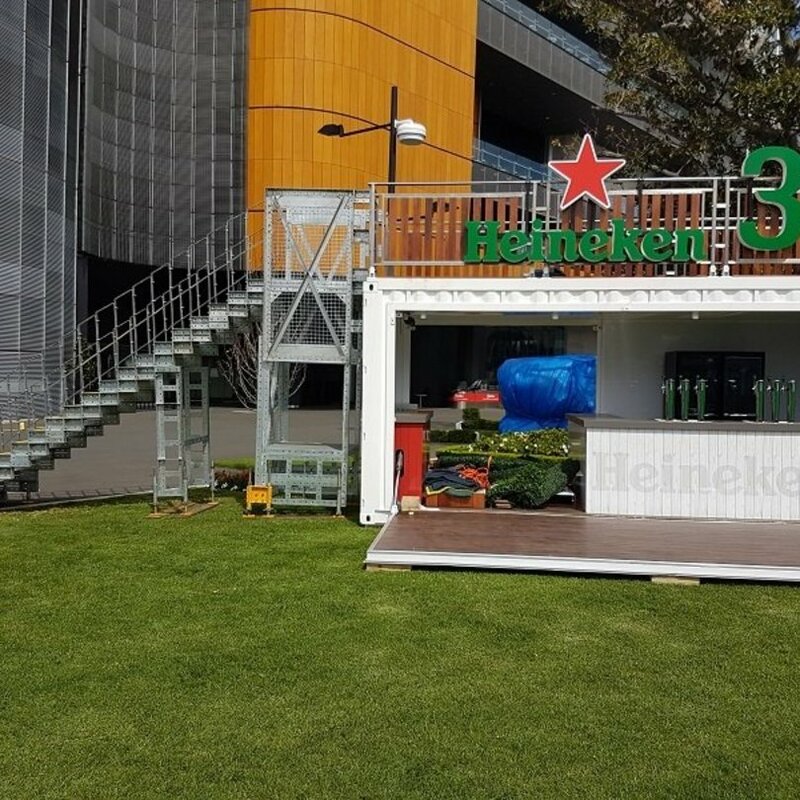 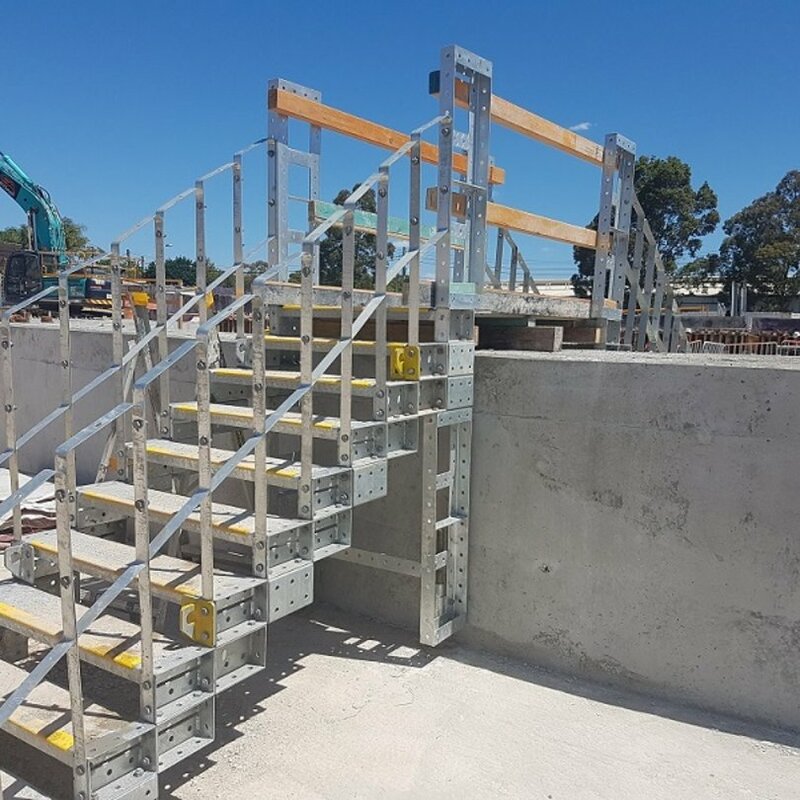 The Preston Stairs and Stairkits are designed to simplify and provide temporary stair solutions for workers and public access on your project. 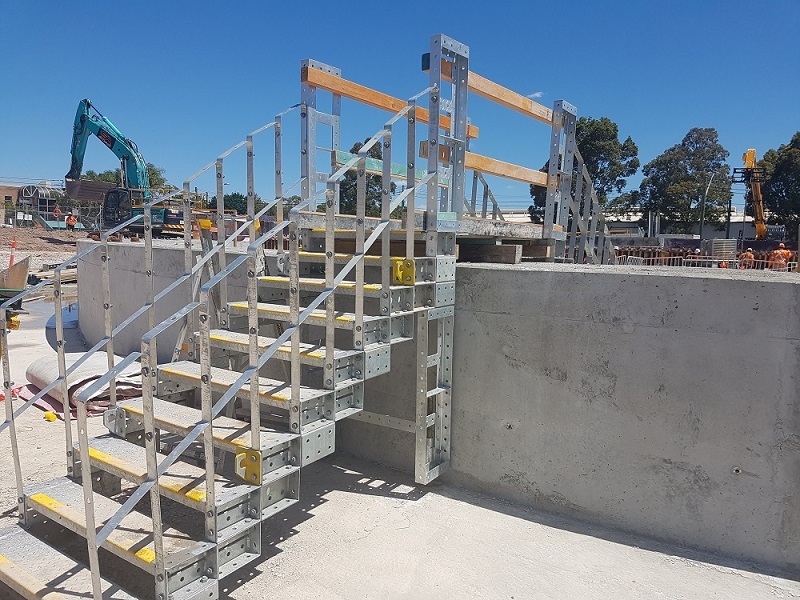 Our Stair box or kits come with 3 components only; stair tread, stair block and handrail. 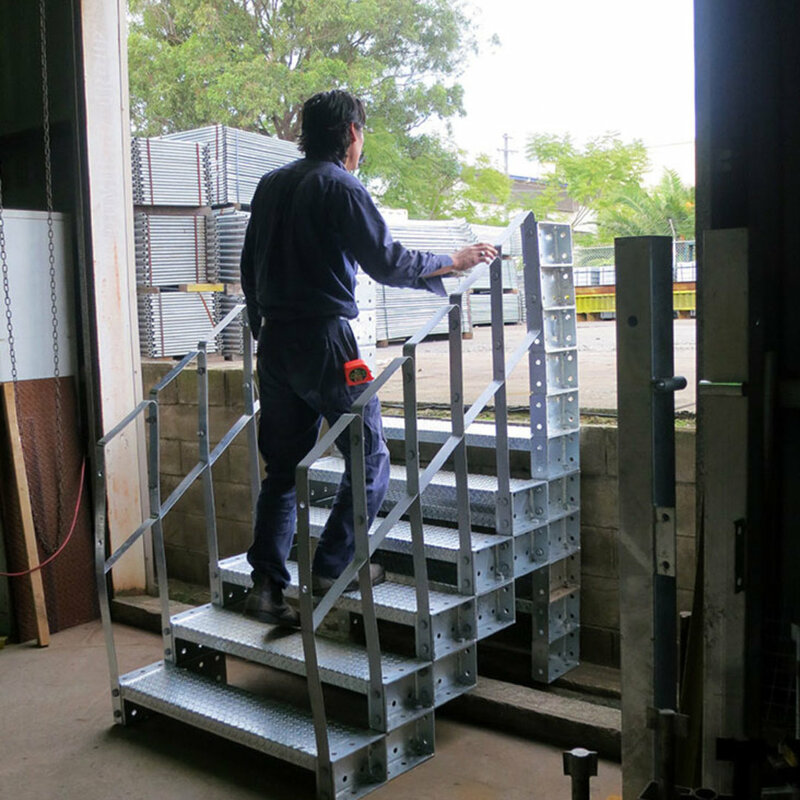 We can make up any stair configuration to suit your needs. 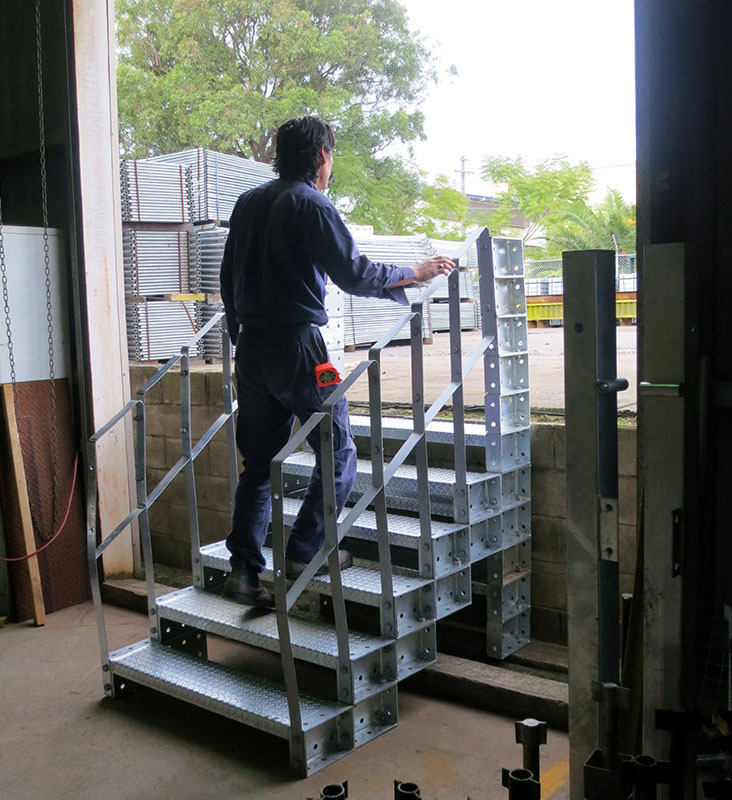 For more information on stair towers please see our Towers product range. 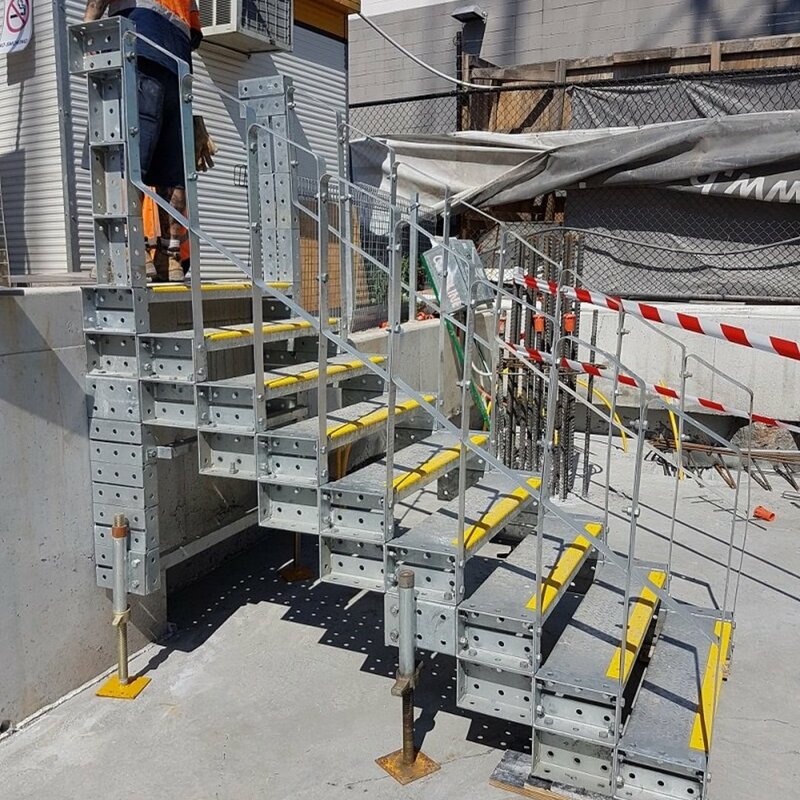 This unique patented Preston design is a revolutionary edge cutting solution to builders for workers on site and public access. 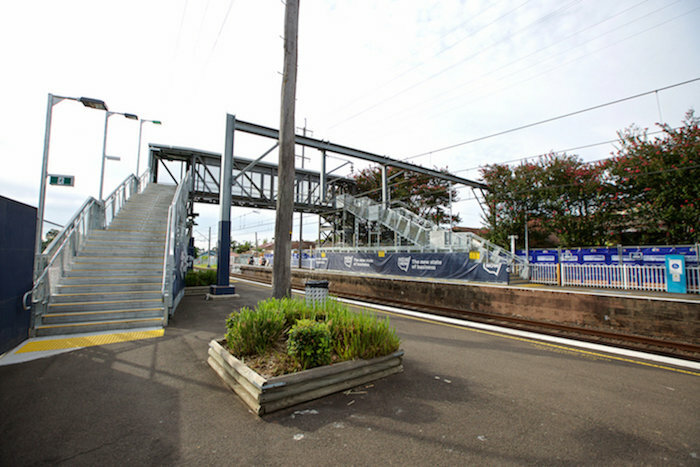 Our Preston Stairs provide excellence in safety and quality for moving the public in any area and workers on site. 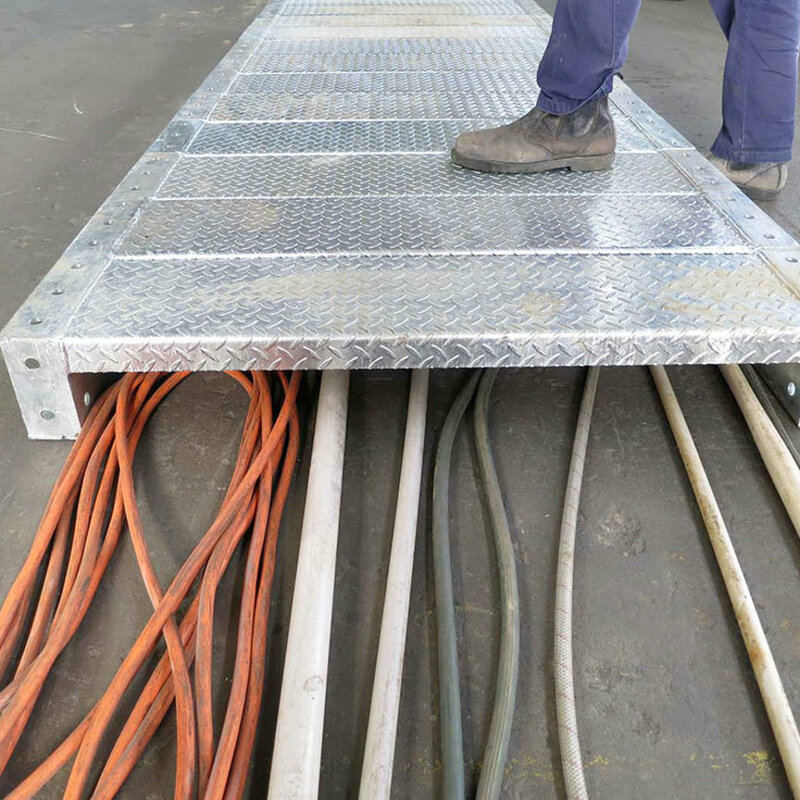 You can use it for any purpose to any configuration for any project and we can customise it to suit your requirements. 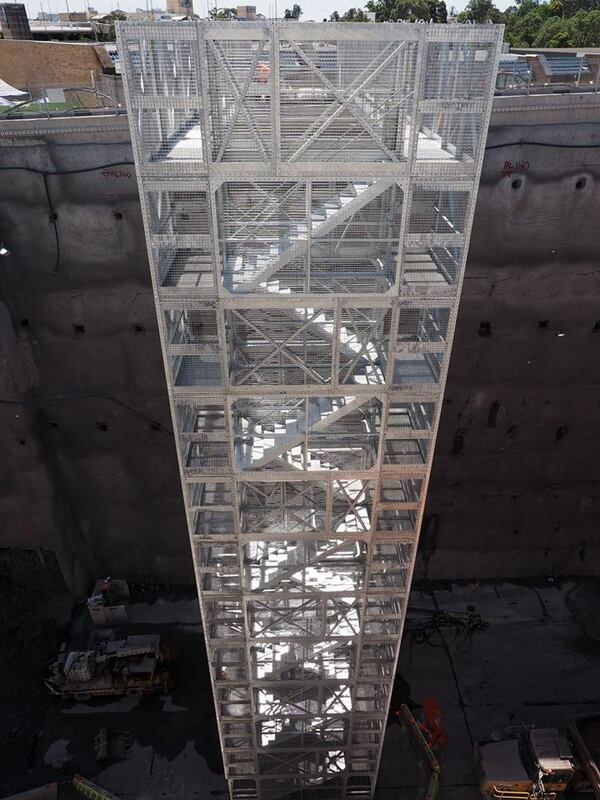 We have stairs for every situation including suspended stairs into or up to 60m deep excavations, shaft or hole. 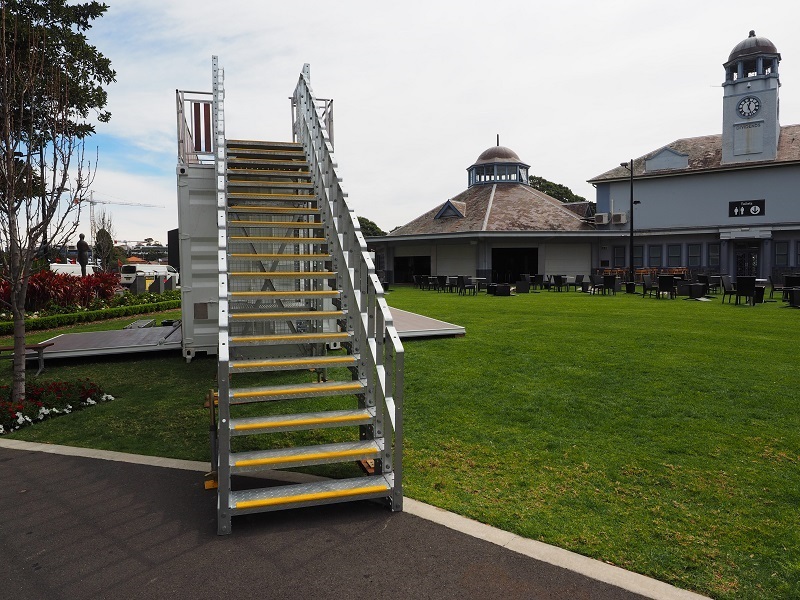 The Preston Stairs come in nine standard models from small stairs to stretcher stairs or large public access stairs. 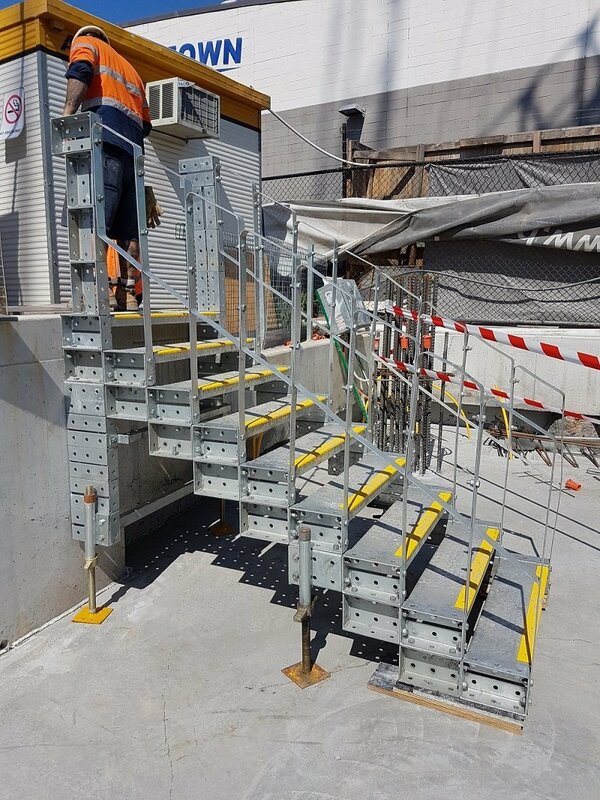 You let us know what you need and we can build your stair access to any configuration or height. 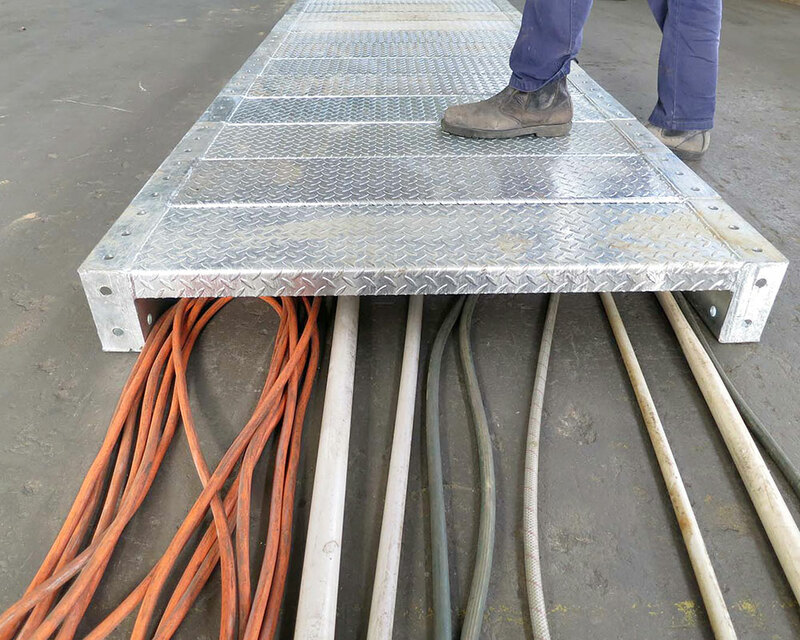 Preston understands and cares about your needs and continuously creates access solutions to suit your requirements. 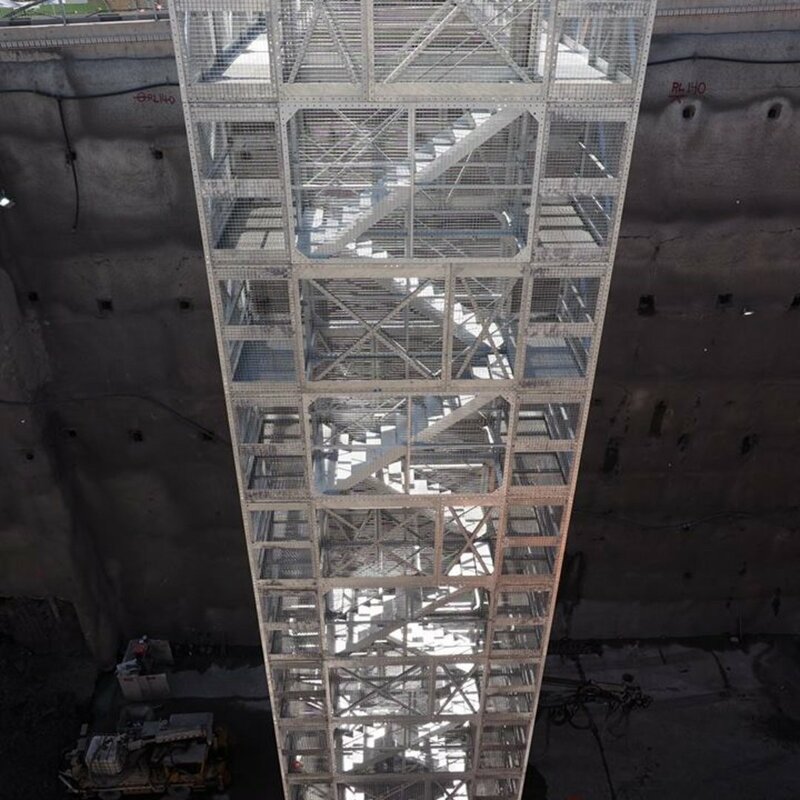 As a company who is personally committed to safety and quality. 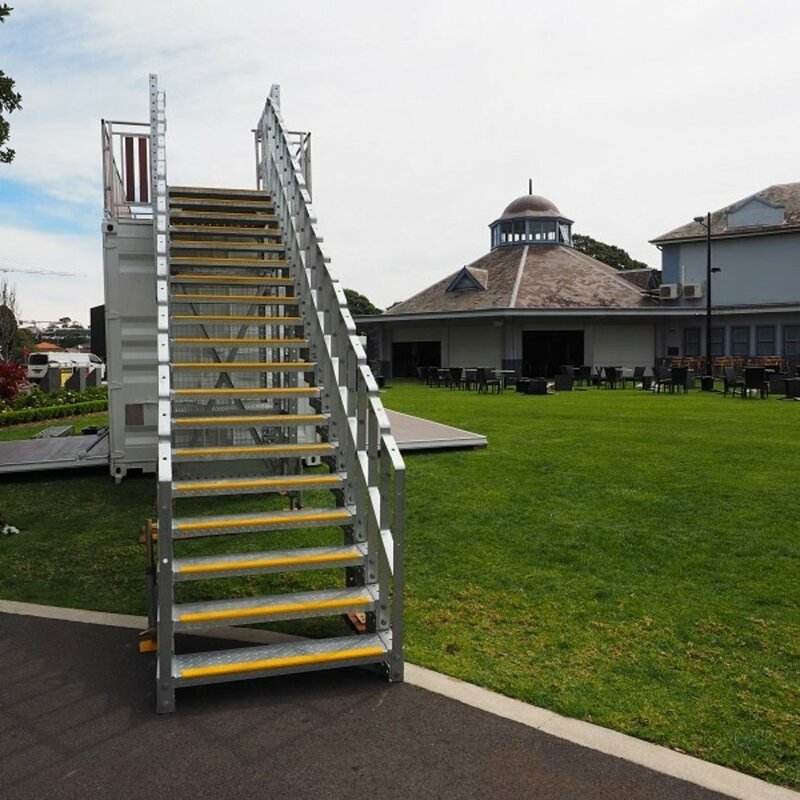 To further assist our clients, the Preston Stairs are easy to install with no skills required. 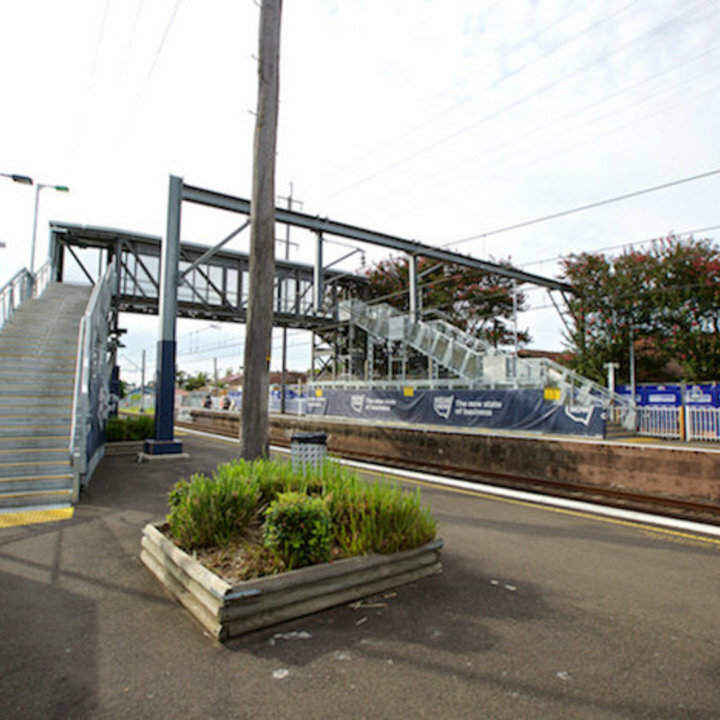 Preston Stairs can be dismantled and reused continuously.